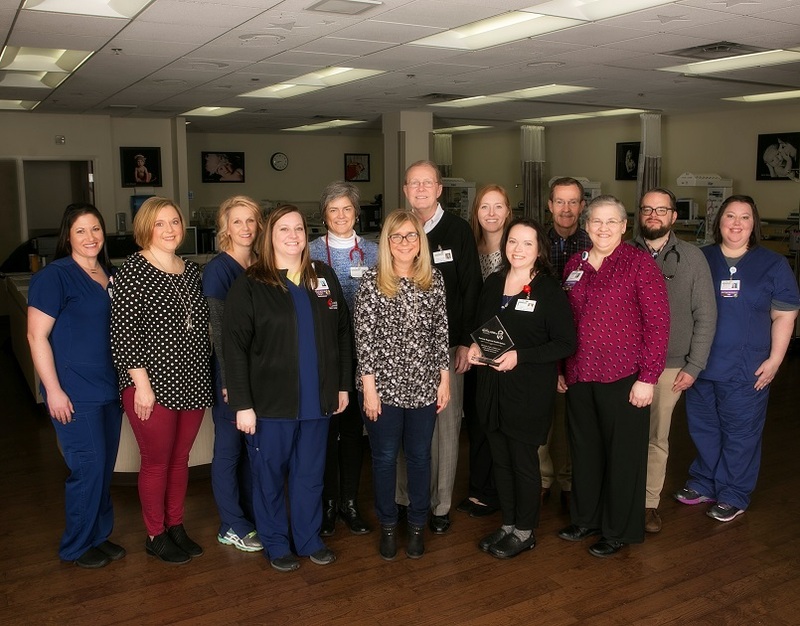 The Arkansas Children’s Hospital Nursery Alliance and Conway Regional Medical Center Nursery have been awarded the Dr. Betty Lowe Award for 2018. This award goes to an individual or group that has made significant contributions to the health and well-being of the children of Arkansas. It has been awarded since 2002 and honors the late Dr. Betty Lowe, the medical director of Arkansas Children’s Hospital from 1977-2001. She served as the president of the American Academy of Pediatrics and was the second woman in history to serve in this capacity. “Conway Regional is proud to be a member of the Nursery Alliance and receive this prestigious award. Thanks to all the nurses, therapists and physicians who work hard to care for these infants,” said Dr. Alan Lucas, a Conway pediatrician and medical director of the Conway Regional Nursery. The Nursery Alliance is supported by 13 Conway pediatricians representing four clinics, Arkansas Pediatrics of Conway, Central Arkansas Pediatrics, Conway Children’s Clinic and TLC Pediatrics. The ACH Nursery Alliance was formed in 2016 and Conway Regional was its first member. Membership in the Alliance strengthens the capabilities of Level I and II Nurseries to provide newborn care and stabilization of critically ill newborns that may require transport to Arkansas Children’s Hospital for more advanced treatment. The Alliance collects and reviews data on the demographics and care of these infants in an attempt to improve treatment protocols and improve outcomes in these infants. This is an effort to decrease infant mortality which continues to be an issue in small states like Arkansas. Pediatricians representing four Conway clinics and members of Conway Regional’s Nursery staff with the award: Alicia Isom, RN (from left), Amy Skelton, RN, Teresa Kelley, RN, Brandi Johnson, nurse manager, Pebble Sutherland, pediatrician (Conway Children’s Clinic), Elisabeth Velte, RN, Alan Lucas, pediatrician (Arkansas Pediatrics of Conway) and medical director of nursery, Shayna Wood, pediatrician (TLC Pediatrics), Courtney Meena, pediatrician (TLC Pediatrics), Terence Champlin, pediatrician (TLC Pediatrics), Mary Salazar, director of women’s and infants’ services, Adam Harrell, pediatrician (Central Arkansas Pediatrics) and Keeli Henderson, RN.